Goizper Group manufactures a diverse range of heavy duty combination clutch-brakes. The air applied clutch and air released brake are safety approved for metal forming machinery. Directly interchangeable with Ortlinghaus and Desch Lutex®. Goizper combined hydraulic and pneumatic clutch-brakes function with a dual braking and clutching function, however, the functions may not be activated at the same time. They can be fitted with a progressive piston to make clutching and braking soft, with the ability to withstand damaging shock loads, vibrations and mechanism breakage. The precision engineering will save time and money on expensive repairs and ultimately reduce machine downtime.  Industrial Clutch Parts Ltd. are able to offer different types and sizes, available directly from stock for prompt delivery and reduced lead times. Goizper combination clutch-brakes cover a range of clutching torques from 65 Nm to 150,000 Nm and meet all kinds of requirements. Hydraulic clutch-brakes are best suited in metal cutting and bending machinery, such as presses, shears, and folders. One of the main characteristics for pneumatic combination clutch-brake is that it obtains the maximum possible torque within the dimensions of the unit, due to the fact that the piston reaches the maximum diameter. These clutch-brakes may be mounted with locking rings or key-ways.